Today I had a spare few minutes, and worked out how I was going to add scratch built detail to the Mustang's drop tanks. This is what it's all meant to replicate. A plan is not essential - in fact, I particularly love just ferreting through piles of spare bits and bobs when I'm scratch building looking for the perfect piece to solve my puzzle. It's good to use a pencil and get away from a computer! This all seems pretty straightforward, a great way to add detail to the original, and rather basic, kit. 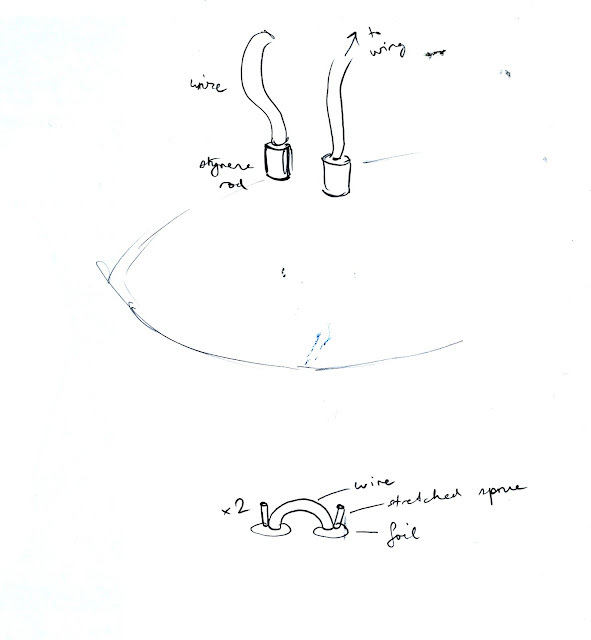 The trickiest bit I foresee will be trying to cut nice, symmetrical circles out of foil with a scalpel. 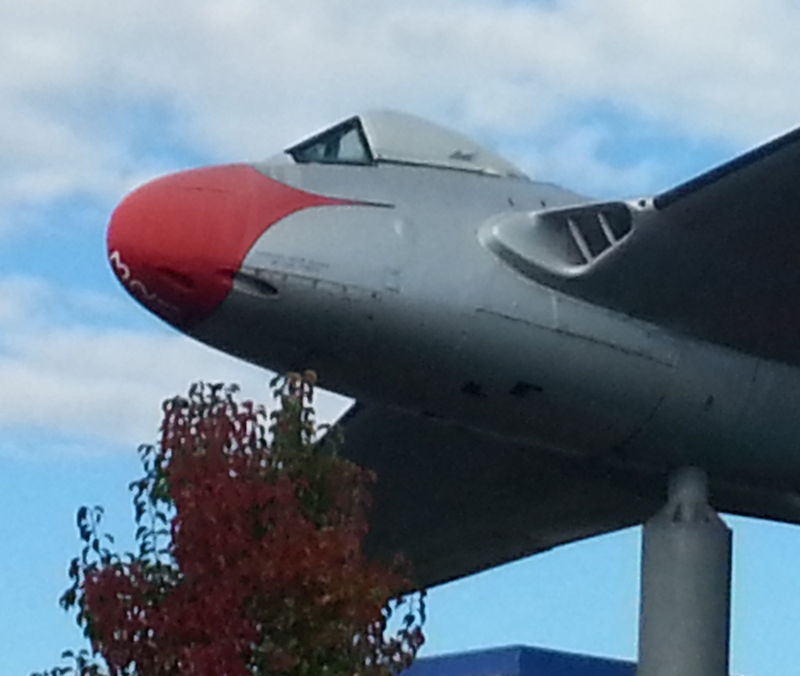 Makes me wish I had a rivet punching tool. While I have a self-imposed rule of only building one kit at a time (it just gets too messy otherwise, both on my workbench and in the plans in my head) I do allow myself to start researching the next project. So while I'm only about 60% through my 1/32 P-51D Mustang build, I'm itching to start the 1/35 Tamiya Panther G Late Version which I bought recently. Why would you when the interwebs is such an immense storehouse of amazing? 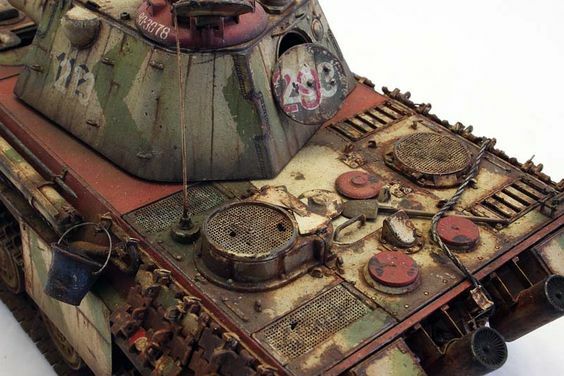 I get it if you want to model one particular tank at one particular battle, you need that sort of in-depth stuff. I totally get that. I tend to model a representative look, a slightly more "looks like feels like" kind of modelling where I concentrate on telling a story. I know that is verboten among some modellers, but screw it, it's a hobby rather than work: at work my creative output is reworked and endlessly discussed in a design-by-committee process (with all the soul crushing that entails), whereas when I'm modelling the only person I am answerable to is me - that's why I do it. 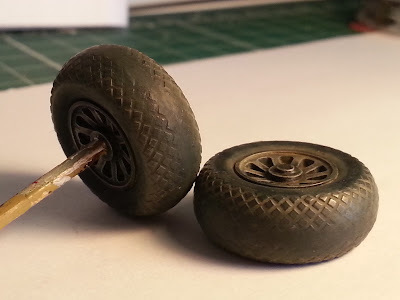 Instead, a good old Google Images search will usually bring up exactly what you want to see (for example, the close-up views of Mustang wheel wells that I've found have been invaluable for adding scratchbuilt detail to my current build). I also find Pinterest an amazing reference for model inspiration. I've mentioned before what a good resource Pinterest is and my Top 10 Pinterest boards, and I'm going to spruik it again today. 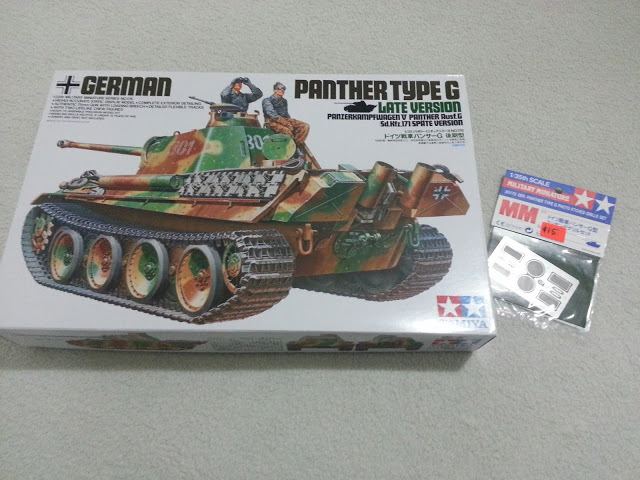 I'm looking for inspiration for my Panther. I don't have a set story or idea in mind yet, although I really do like the two figures watching the sky which come standard with the Tamiya kit. 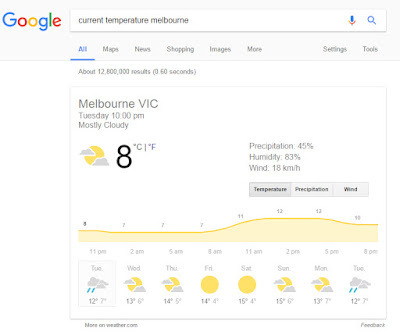 Will it be a winter setting or summer? Eastern front or Western front? I don't know. What I do know is I want to model this Panther as a dirty, dirty kitty. I want it to look weather-beaten and oil stained and muddy and dark. I know that my models tend to be a little bright, the colours don't tend to be washed out - that just appeals to me and looks good to my eye. Totally subjective, and I like it. Yes, I know that is not a Panther G, but just look at that amazing faded paint! Source. All of these early references are from Pinterest. I love it. As the build progresses and I need more in-depth reference images for particular bits of detail work, then it'll be back to Google Images. But for now, these sorts of shots by fellow modellers are enough to spark my imagination and get me thinking about the story I'm going to tell. Strap yourself in for the ride. 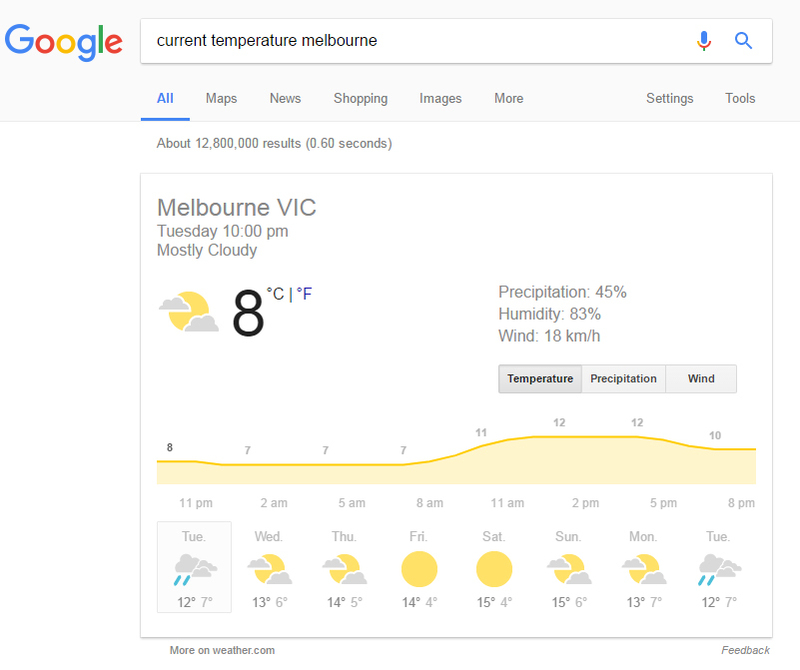 I live in the inner west of Melbourne. 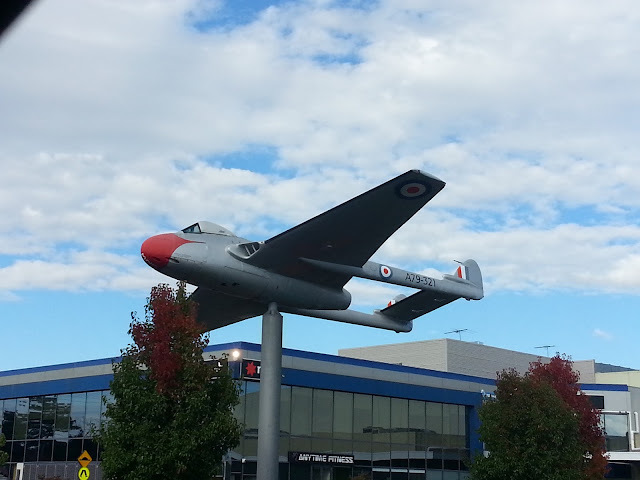 Fairly near my house is a shopping centre which used to be the Royal Australian Air Force Tottenham Store during the Second World War. As a nod to that history, they have an old de Havilland Vampire jet mounted on a pole at the entry to the carpark. I tried to get some okay shots of it today, but they're not great. As you can see, when it was operational it was uncamouflaged, unpainted aluminium. 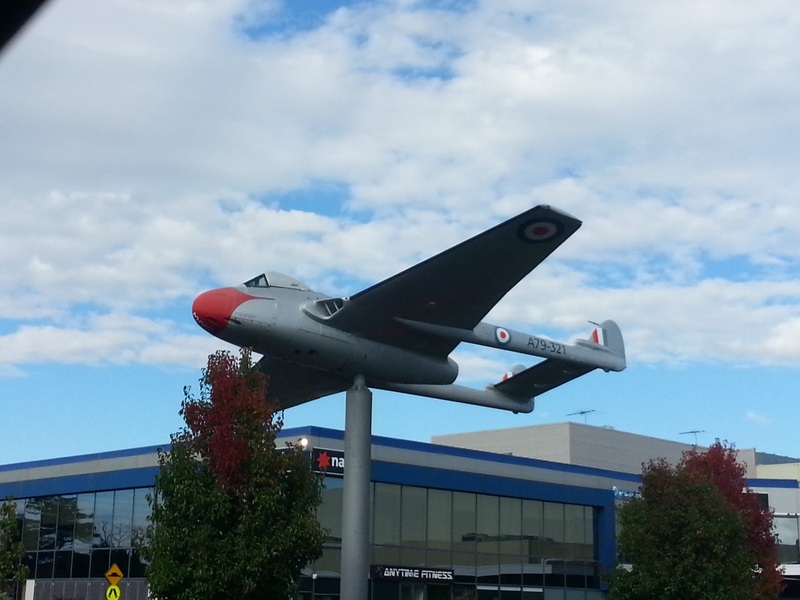 What I can't understand is when I look at it today: is this raw, weathered aluminium, or is did they misguidedly paint it grey before they plonked it on top of a pole? I think it must be aluminium, and it is just weathered and sun-beaten until it is this dull, greyish tone. 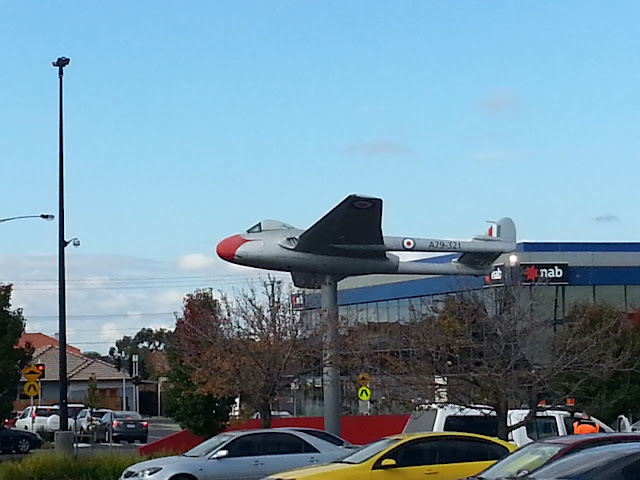 I've posted in the past about looking for weathering references when you are out and about in everyday life. I've found another one that I just have to share. 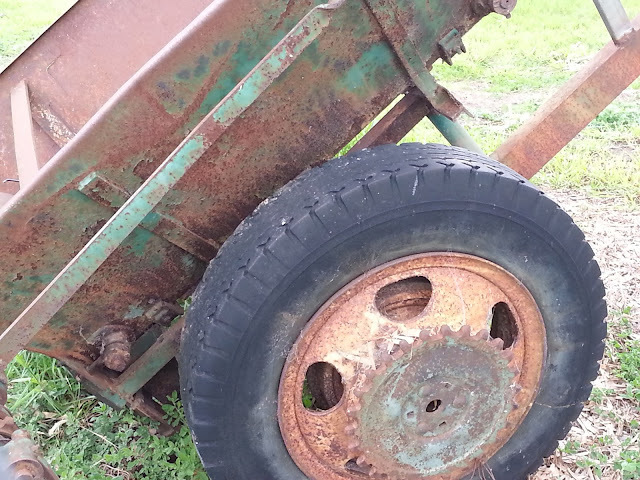 When I'm anywhere even remotely not in the middle of the city, I send my partner crazy by randomly and suddenly stopping the car to take photos of rusty, old machinery. I absolutely love this stuff, just left to gently rot away in a corner of a paddock. I call it an "abandoned industria aesthetic". 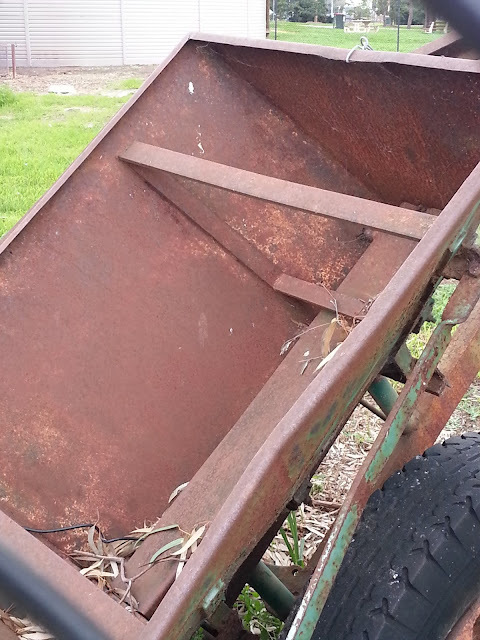 My partner calls it "we've stopped again to take photos of tetanus junk". 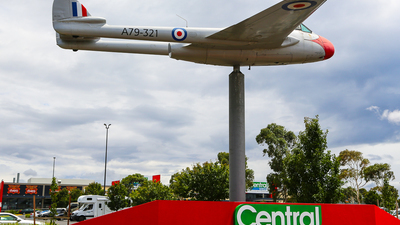 Last weekend we visited Bacchus Marsh, a town about 50km west of Melbourne. While we were there, I spotted this little trailer in a council depot next to a park. Yes, it's perhaps a little too weathered to be used on any kind of military vehicle that is meant to be portrayed as still in service. 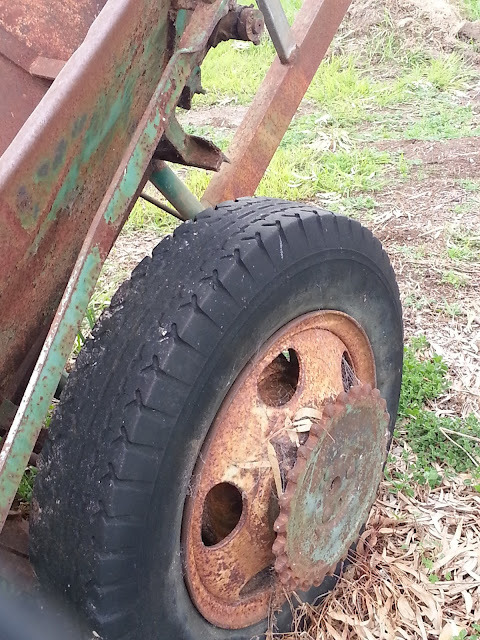 But for an abandoned truck, those big ol' wheels are juuust right. The tone of green on the body paintwork is also great: it's been bleached in decades of sunlight. Faded and rusty. Love it. Man, I love these wheels. The colour of the faded rubber tyres is also something I'm going to try to replicate on my next armour or soft-skinned vehicle. The lightness closer to the rim is very interesting. There's nothing earth-shattering in this post: just another example of using the real world to improve your scale models. Now, where did I stash that crappy old Italeri Opel Blitz kit??? 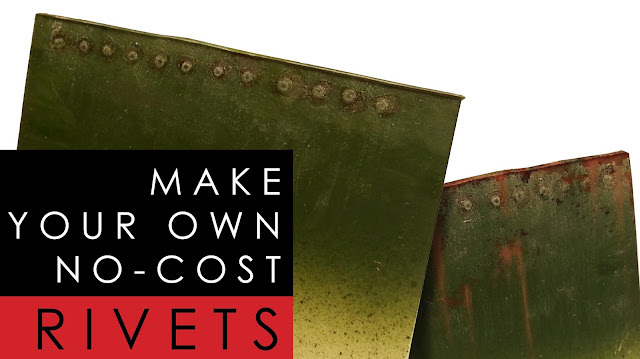 My latest video tutorial shows you how to make rivets on any scale model surface, at absolutely no cost. (Well, maybe it will cost you about 1 cent's worth of materials that you already will have in your model-making toolbox.) It's a versatile and dead-easy technique. The secret ingredient is....... plain old PVA white glue. This is an old trick, I first read about it back in the 1980s in a fairly average modelling book. You know the type, you see them all the time in secondhand book stores, a 1970s black and white photography "The Model Maker's Handbook Compendium" type of thing. I remember the rest of the book was pretty dire, but this technique stuck with me. And it works a treat. 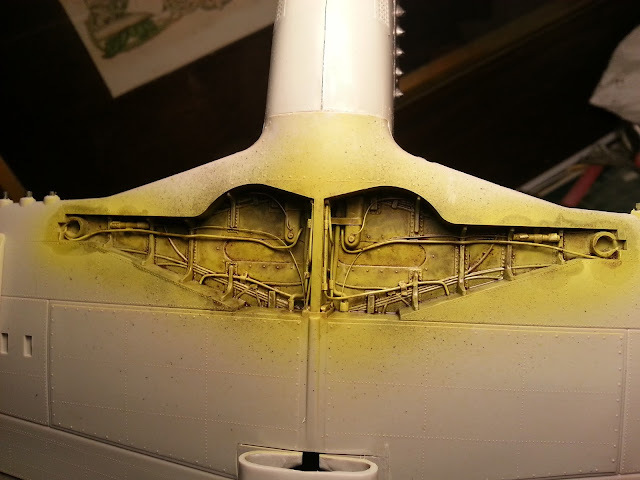 It's perfect for adding texture to otherwise boring surfaces, or for detailing a section of airframe or armour plate which should have rivets and doesn't. 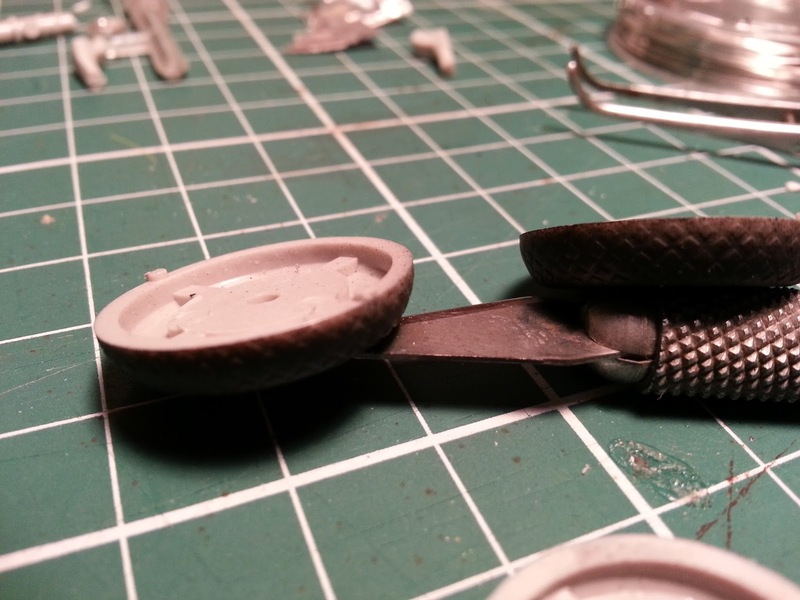 This technique works best for larger scales: 1/24, 1/32 or 1/35. 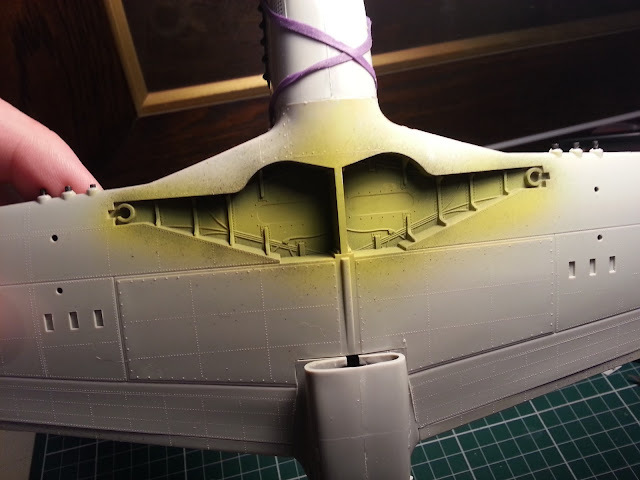 I wouldn't recommend it for 1/48 or smaller, simply because it is hard to get the rivets small enough. 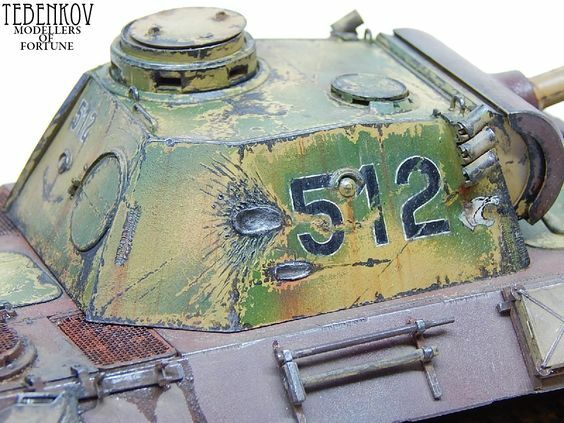 With a little practice you can make very realistic rivets. I suggest doing a trial run first on some scrap styrene just to get a feel for it, before you start glooping PVA glue all over your latest pride and joy, but it is most definitely an easy technique. So have a look, and give it a try. Here's the video link: How to make rivets on a scale model - scratch build at no cost. or you can click on the embedded video below. Guest post by Ian Gittins: Building a "Paper Panzer"
Only a quick bit of internet research on references is required. 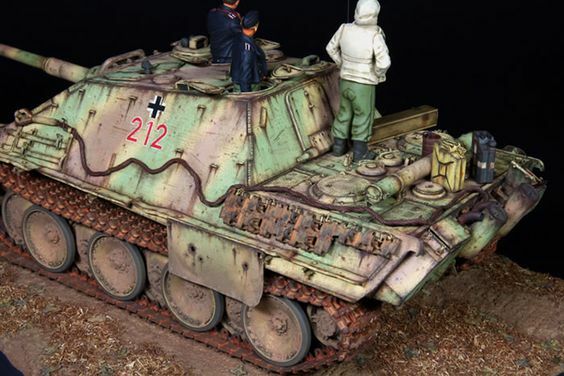 So, the kit I've just about completed is a 1/35 Dragon VK.45.02(P)H (Kit #6657) which I'd purchased from Hobby HQ in Thomastown for $38 (THE best model shop ever!). I've a real hankering for the more unusual WW2 German tanks which are often referred to as "Paper Panzers" as they never really came into production. 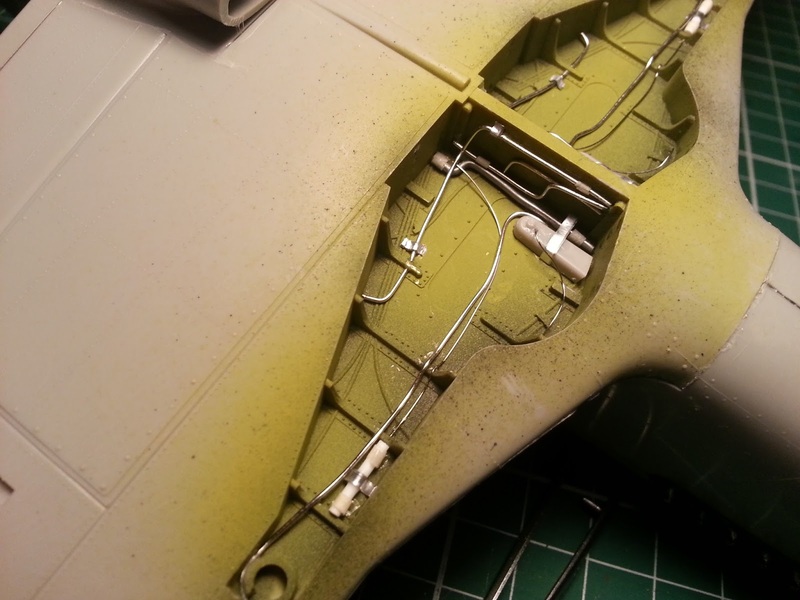 The kit has nice crisp moulding and fitted together well bar the photo etch cable guides on the sides as they came off at any given opportunity due to the poor design and fragility of the metal. I gave up re-attaching them after a while as they drove me mental. The instructions are also missing a section about constructing the gun so I had to use my brain a bit to figure it out and the other bone of contention was the metal barrel. The barrel was too heavy and would drop onto the body of the tank so ended up super glueing all the inside parts of the breach to keep it in place. The one piece tracks are really good and there was no real issues fitting them. For this kit I wanted to try some different painting methods so I attached all the tools before painting which is something I don't usually do. I used leftover tools from a Trumpeter kit I'd built previously and cleaned out the clasps with a pin vice as the Dragon moulded tools where a bit bland and I'm never going to attempt putting photo etched clamps on any kit as I have hands the size of bear paws and eyes like a deep sea fish! Now this is where the real agony begins ....Primers ! I used AK Interactives red primer for the first and most likely last time.... I HATE AIRBRUSHED PRIMERS as my Tamyia 0.3 Airbrush just can't handle them regardless of what thinner I use. I even tried Windex and it failed. I tried a cheap airbrush with a 0.5 needle and that failed too, so Tamiya spray can primer is the way fwd either that or $6 Car Primer from Super Cheap Auto. Anyway, after the primer saga I then added a base coat of Tamiya XF 84 Dark Iron which makes a great and realistic base metal colour. After the dark iron I applied a layer or two of hairspray then a thin layer of Tamiya XF64 Red Brown mixed with some flat red and chipped it off after about 45 mins drying time.Applied a quick layer of Tamiya Semi Gloss clear to seal it in then after 24 hrs drying time another two layers of hairspray. 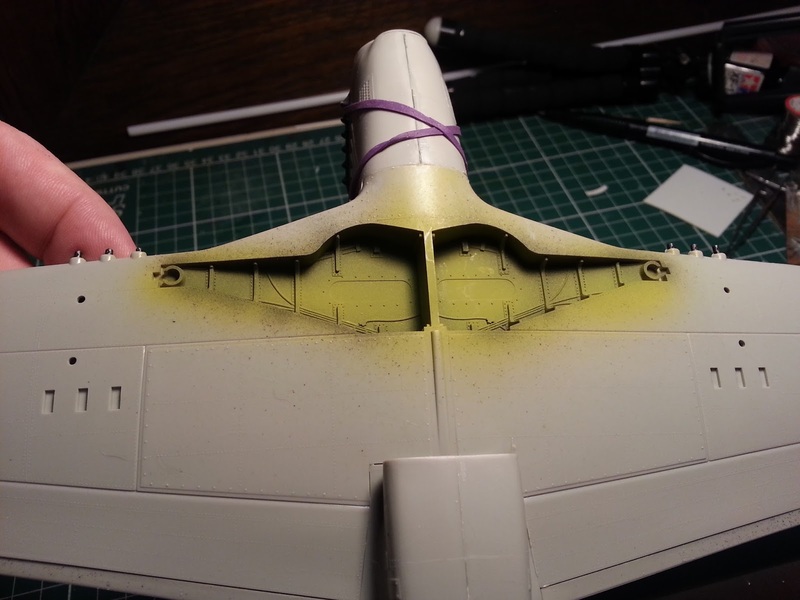 Next a base coat of Tamiya DK Yellow (lightened with some Tamiya Buff). I then spent nearly two hours masking off areas to do a real fancy splinter camo scheme using professional (and expensive) masking tape and applied AK's Chocolate Brown and an AK something or other green. Peeled away the tape and WHAM the paint came off in large chunks right down to the plastic and the tape bled too which really sent me into a frenzy and out into the garden armed with Easy Off oven cleaner to strip it all off at 10pm ! Started again but this time used a Mr Hobby Russian Green for the camouflage (gave up on the splinter camo for now). The green came out a bit to garish but what the hell..... Weathered it with some cheap oil paint from Reject Shop ($5 for pack of 10), Vallejo pigments, sponge chipping, AK Streaking/Rust effects stuff. So the moral of the story is....AK and Vallejo may be forgiven some ways as the make excellent weathering products but they are to be burned at the stake for their airbrush paints and primers. 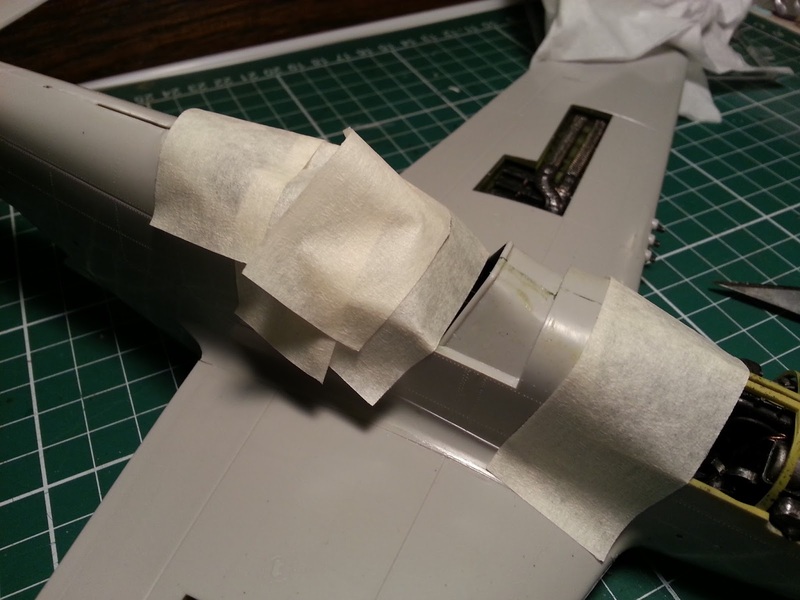 Professional $12 a roll masking tape is also to be avoided at all cost. 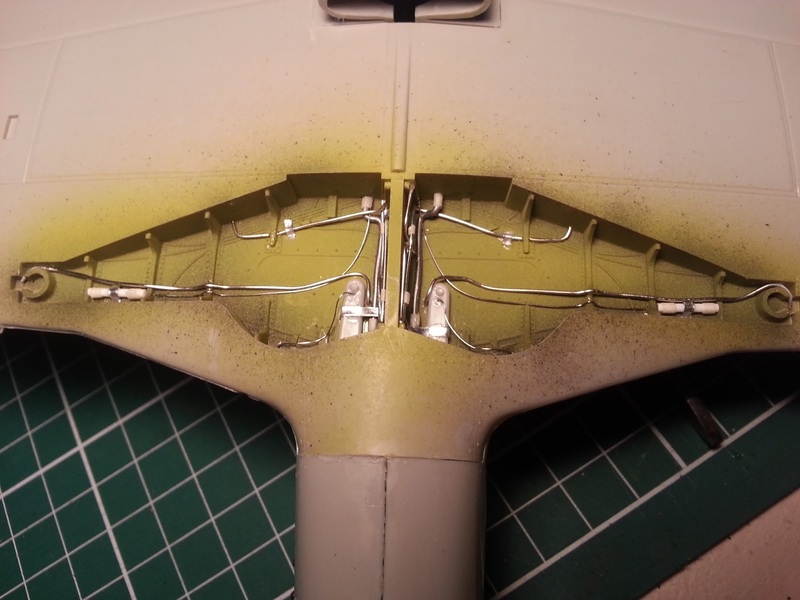 A lot of mistakes occurred whilst building this kit and it took forever to finish but it certainly pointed out some pit falls along the way and I've learned a little bit more on what works, what doesn't and what I need to avoid in the future." Scratch built hinge on the ladder. These so called "Paper Panzer" late-war prototypes are just fascinating. You can really see the development of armour philosophy in the closing stages of the war: bigger guns, better crew protection(gotta love that turret protected way at the back of the chassis, quite like the design of the later Israeli Merkava tank), attempts at increased mobility. 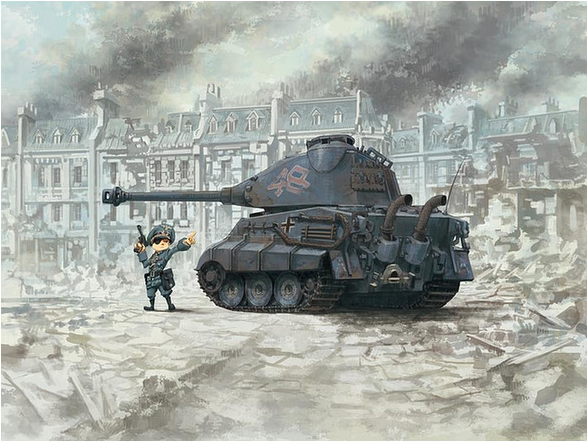 "The VK 45.02 (P) was the official designation for an unsuccessful heavy tank project produced by Porsche in Nazi Germany during World War II. Development of this vehicle started in April 1942. The Krupp company received an order for construction of turrets. 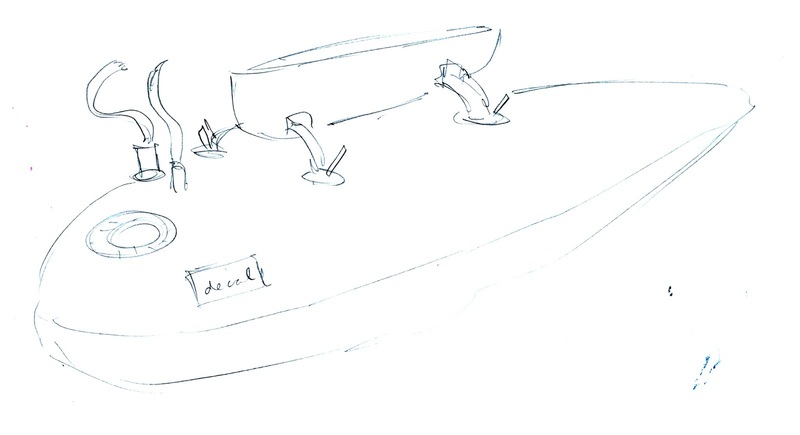 However, the prototype hull was never manufactured. 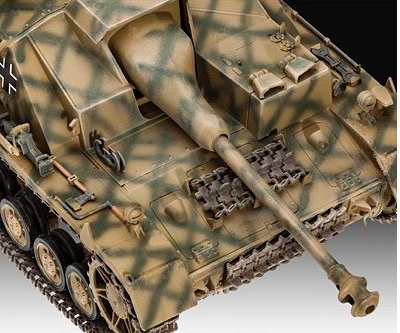 The turrets were mounted on the first Tiger IIs. 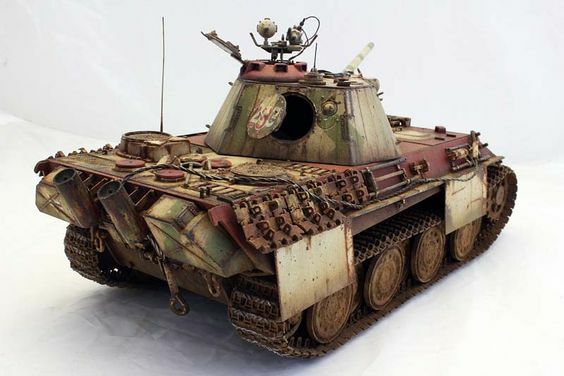 After the VK 4501 (P) failed to win the contract, Dr. Porsche began looking at ways to improve the design for a future version. 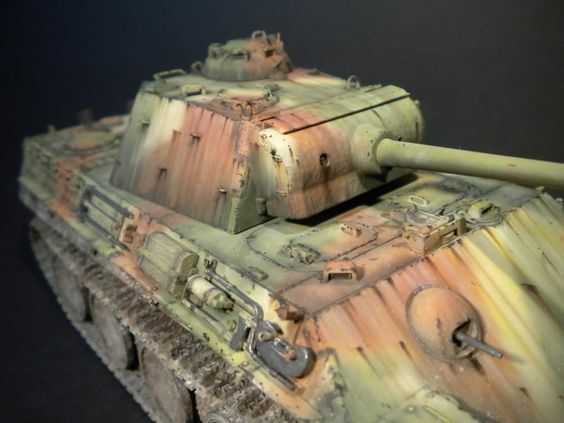 Based on the latest Allied tank designs, however, it was clear that simply increasing the armor on the VK 4501 (P) would not be enough for the tank to remain competitive. 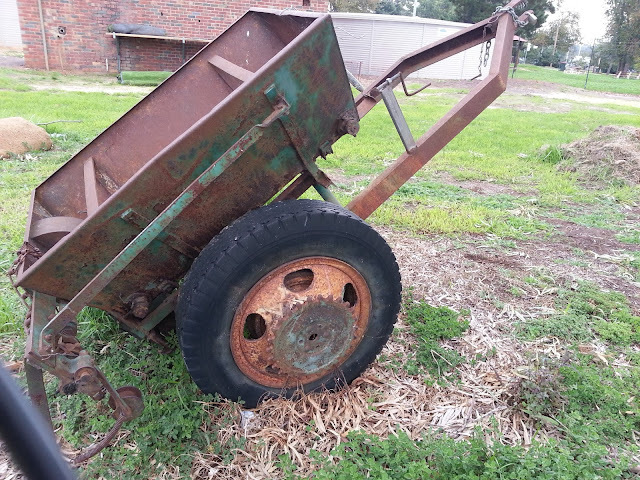 It needed to have both more weight and more maneuverability. What initially began as a single vehicle, entitled "Typ 180" grew into a series of five different vehicles, requiring the development of two hull configurations: the Hinten with its turret at the back (as shown in the picture on top) and the Vorne with its turret on the front. 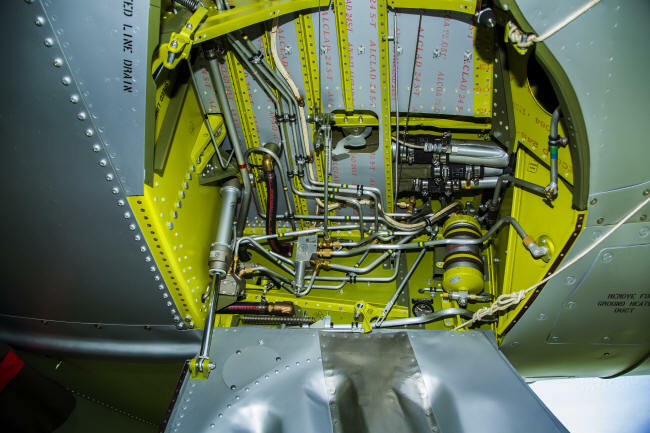 Both an electric and a hydraulic drive system, and four different engines. 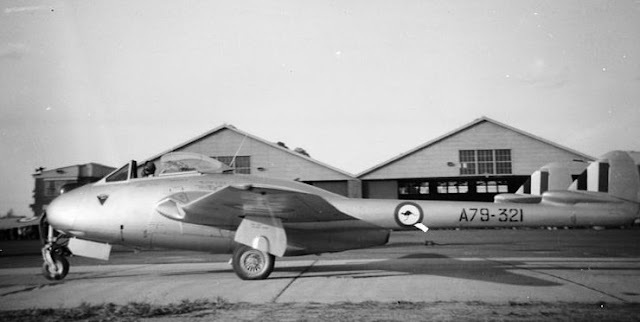 The overall project came to be known as VK 45.02 (P)." I hope you enjoyed having a guest blogger contribute. Please do leave comments below if you have any feedback, and do please get in touch with me if you are interested in contributing something of your own, I'd love to hear from you. 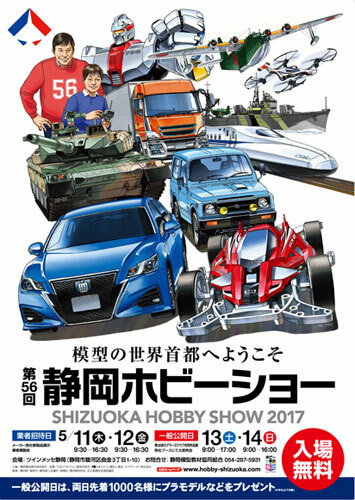 You may not have heard of the Shizuoka Hobby Show, but it is massive. 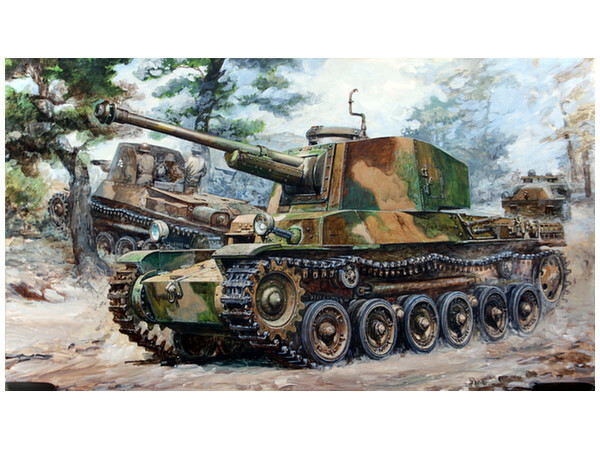 It's held annually in Shizuoka, Japan (the city where most of Japan's model kit industry is based, the headquarters of Tamiya and Hasegawa are there among others) and it is where a lot of the most exciting new releases for the coming year are announced. And it's on right now... this weekend... I'm excited. Part of the reason I am excited about this is that I will be visiting Shizuoka in December, and I'm going to visit the Tamiya showroom (so much history!). I will admit it, I am a massive fan of Tamiya. Another part of why I'm so excited is that new kits are being announced left and right. I'll restrict myself to what I am interested in, so here are the highlights of the 1/35 scale military releases and 1/32 aircraft releases. Who doesn't love some Japanese armour? Apparently the tracks have decent sag moulded into them. Nice, interesting subject. An interesting addition to all the cool 1/35 stuff that has been released in the last five years. 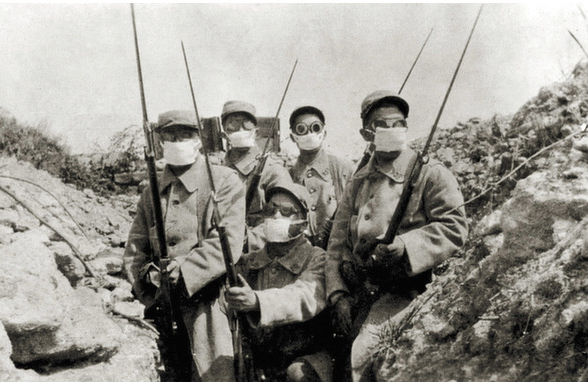 The centenary of WWI has really brought about a long, long-overdue renaissance of WWI subjects in modelling. 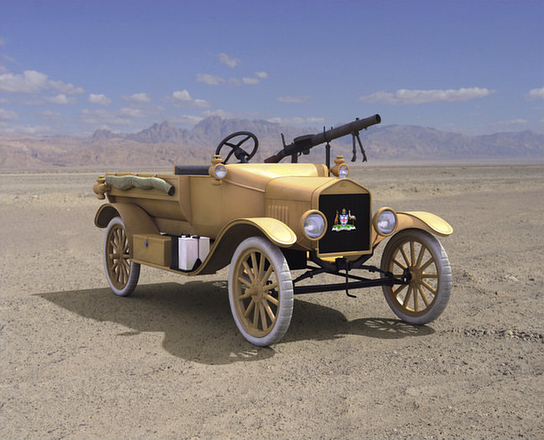 Another unusual WWI subject. It's not quite my cup of tea, but I'm Australian, so I had to include this in my list. You have to love that Australian coat of arms on the radiator, though. Nice Lewis gun too. Source. 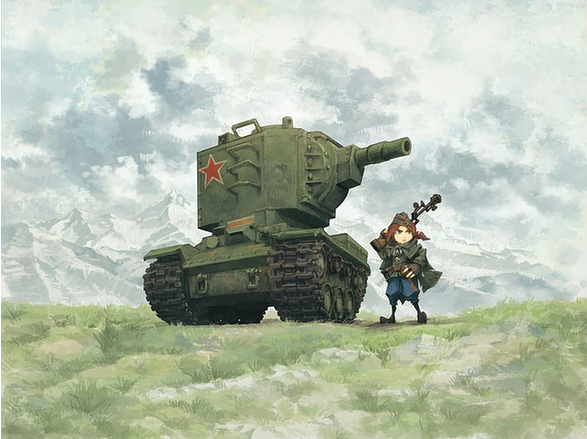 The cute little Sherman and Tiger I which were released by Meng recently are now joined by a King Tiger (Porsche Turret) and a Soviet KV-2. I'm torn about these. 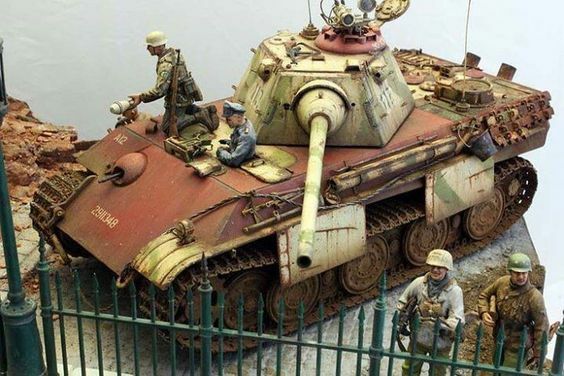 Yeah, they're cute and clever, and I have seen one cool diorama done with the Sherman (see bottom of this post), but I don't quite get why you would spend your time on these? Great for indoctrinating introducing kids to the hobby though. 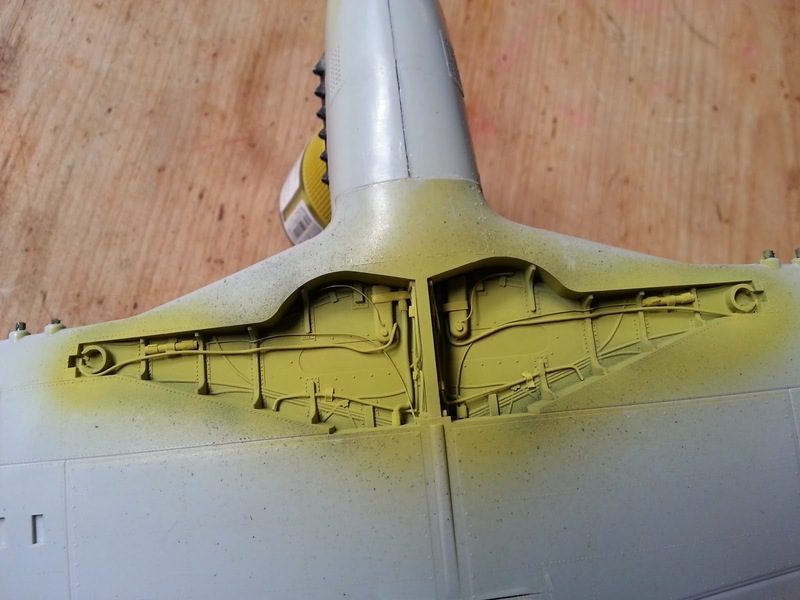 The only one I can see of merit released at this stage is a new Wing Nut Wings release, although I had been hearing rumours on social media of a revised Tamiya Corsair for the last month or so. 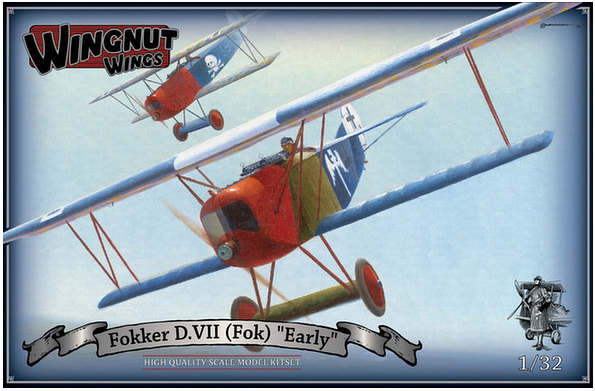 Wing Nut Wings - Fokker D.VII "Early"
Man, I really needs to get me a Wing Nut Wings kit to see what all the fuss is about. Everything I've heard about them says they are a joy to build. All I know is: a) they are ruinously expensive, and; b) they clean up awards in the model shows I've been to! This new release is a good looking machine. 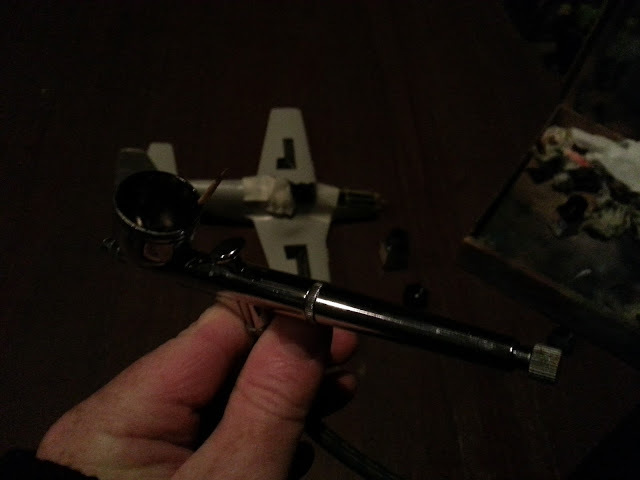 This is a re-tooling of the F4U-1 Corsair that Tamiya released a couple of years back. I dunno, it's a plane I've never loved the look of. If I haven't bought their first 1/32 Corsair by now, I can't get excited by this re-worked version. Sorry, Tamiya, I was hoping for a big, game-changing entirely new release like your Mosquito was. 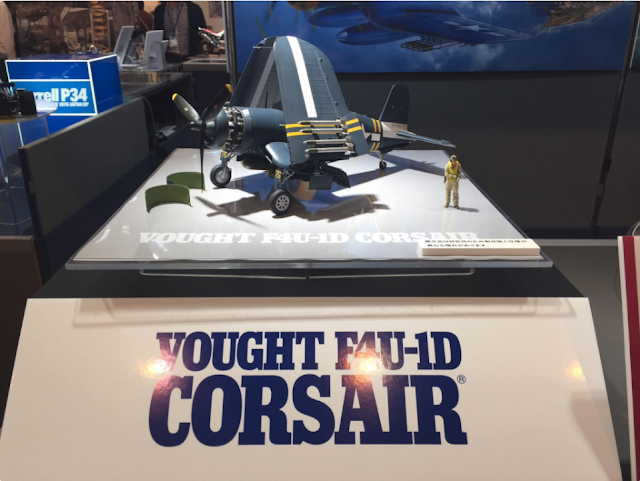 But that's just me, maybe some obsessive out there wants to build every variant of the Corsair in 1/32 scale? C'est la vie. So there you have it. I wish I was in Shinzuoka this weekend! But December will have to do. Chime in with comments below if you think I've been too harsh on any of these new releases! 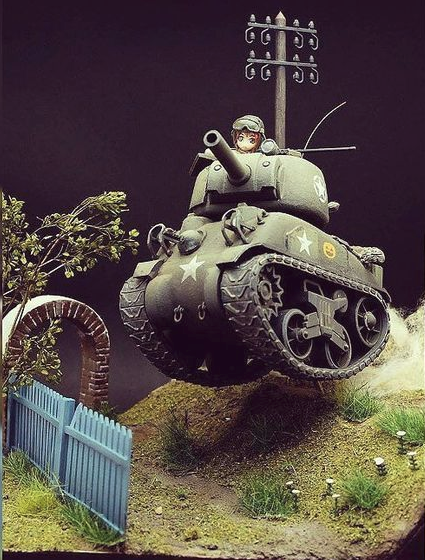 I promised you I had seen one really well done Meng cute egg tank diorama done. Here it is, sourced from Instagram. It has an amazing sense of motion, it's fun, and definitely skillfull. I tip my hat to this unknown modeller! Gunmetal can be a tricky effect on scale models. If you just slather on gunmetal paint, it is nothing special. 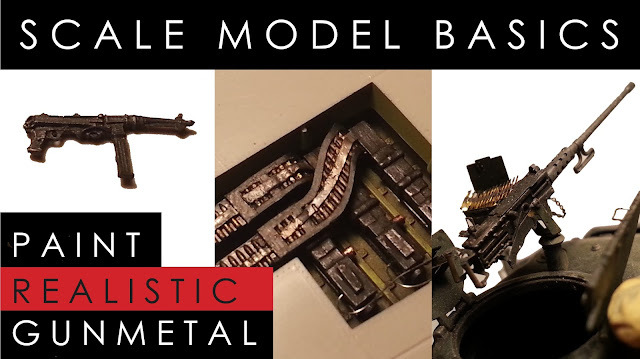 In this video I show you a basic painting technique which is a great way to attain a much more nuanced, realistic gunmetal effect. It's nothing groundbreaking: this is a Basic Scale Modelling 101 tip. Most modellers will already know this, it is an old technique that I think came out of wargaming painting back in the 1990s. But if you haven't encountered it before, you'll love it. 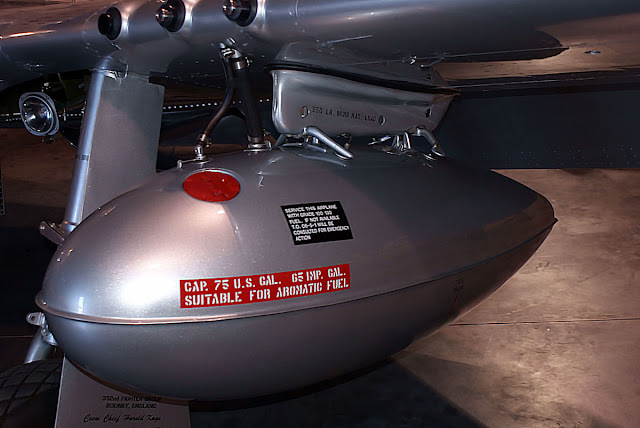 What I love about this is it is very versatile, across every scale it will work for tanks, aircraft, military figures, you name it. It can also be used for other metallic tones: gold, silver, aluminium, bronze, copper, iron engine blocks, brass bullets, whatever. So have a look at the video below and let me know your thoughts.